I know some gamers out there would blow up every Call of Duty (COD) game in the world if they could. Personally, I can only think of a few I genuinely couldn’t stand (COD 3, World at War, Black Ops and Ghosts). I have enjoyed most of the other titles quite a bit. 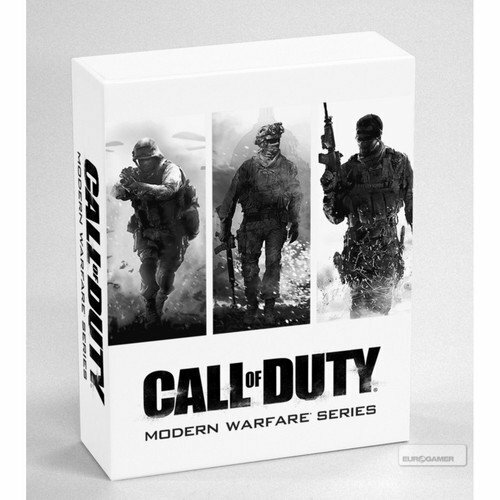 My favorites have always been the collection of the Modern Warfare Trilogy. These titles were not only great campaigns (albeit a bit predictable) but they had hands down, the best multiplayer experiences I ever had in a COD game. The maps were usually well designed with the occasional spawn camping nightmares that would see me rage quit pretty fast. Even with the spawning issues these titles held up well. My favorite part about the move into Modern Warfare (COD4) was that it introduced kill streaks. I loved the simple 3, 5, 7 system that made every map feel like there was potential to get a UAV, Air Strike and Helicopter. They were basic and didn’t typically overshadow the battling on the map between the players. Eventually, we got to dive into MW2 and experience the best maps, the best weapons and some of the best kill streaks ever. The only aspect that seems negative in retrospect is the introduction of the tactical nuke on top of the growing trend if overpowered killstreaks. Don’t get me wrong… I loved the AC-130 and the Pavelow, but these were game-changers for the future of overpowered killstreaks. Even with these gains I looked forward to MW3 and it didn’t disappoint, but it also didn’t impress me much on the map end of things. They seemed uninspired at best and the kill streaks felt stale. This is something that seems to have become a habit and legacy issue of late… not to mention the weak campaigns over the last four games after MW3… and that doesn’t seem like a trend that will end any time soon. I truly miss the smooth handling and true battles I felt like were possible on Modern Warfare before they started adding jump boosting and wall running. Now they are adding overpowered killstreaks to a game that doesn’t need any sort of additional reason to make Call of Duty into a caricature of itself. Be it the mini-tank or the robot soldier or the HATR that shows the location and movement of every opponent in real time… these are all overpowered and take away from what Call of Duty used to be back in Modern Warfare. Maybe I am the curmudgeon of gaming and dream of yesteryear a bit too much. I don’t think that is the case. I truly believe it’s time for Call of Duty to go back to its roots. Make it a battle between players with weapons moving around maps. Take the AI out of it and bring back Modern Warfare.